Welcome to the wonderful world of domains and active directory. I recently wrote a post about pushing out Internet Explorer parental control settings, using group policy. How To Configure Trusted Sites In Internet Explorer For A Group Policy How To Configure Trusted Sites In Internet Explorer For A Group Policy Read More Group policy is great but when combined with Active Directory it becomes so much better! Active Directory is centralized network management at it’s best. There are lots of reasons to set up a network domain and they include security, ease of administration and the ability to automate a lot of features that are cumbersome to roll out manually. Think about being able to manage all your user and computer accounts from one console. You can set “rules” for specific groups of users and say who can and cannot do what on YOUR network! We will walk you through how to set up a Windows 2003 Active Directory Domain. To start you will need a Windows 2003 Server and the installation media that came with it. We will need to install the Windows DNS Server, configure the machine to have a static IP address and let it point to itself as your server’s DNS server. Grab everything you need and let’s get started. To begin we will need to click the green arrow pointing to the right that says add or remove a role. This will start the wizard. 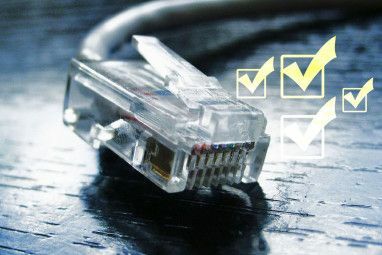 Make sure you have all your network cables connected and your server online. I would set your IP address to be static at this point if you have not already. To do so obtain a static IP address from your network administrator or choose one yourself if you are on your own network. To do this right click on network neighborhood and choose properties. Next highlight Internet Protocol TCP/IP and hit the properties button to configure your IP address. If this is your first time setting up a domain run with the first option. This will install DNS and DHCP for you automatically. 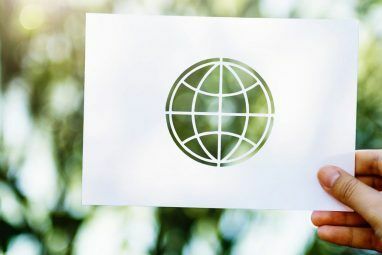 DNS stands for Domain Name Service and allows for your computers to talk to each other as well as connect to the Internet. DHCP stands for Dynamic Host Configuration Protocol and this allows computers to automatically have their IP addresses configured for them from your server. These services are very important for your network. Choose your name carefully as it is almost impossible to change it later. You can use the extension .local instead of .com or .net to separate your domain from an Internet address. In this case we have AskTheAdmin.com which is a internet address and and active directory domain. If you are just testing you can use whatever you want to. The next screen asks you for your netbios names. You can leave these as the default. This is how older machines will see your computer and domain name. Now we will get into how you want to handle name resolution. When you set up your clients to use your new internal DNS server you have an option of what to do with requests for Internet names like www.makeuseof.com. If you choose to forward queries to another server you can use your ISP’s DNS server to allow websites to be resolved. If you choose no your DNS server will not return web addresses and you might be unable to browse the Internet. Click next and continue on. You will be asked to insert your Windows 2003 Server media and then you will see this screen telling you that you are complete. You can set up group policy or “rules” for each of your OU’s (organizational units) and that is a fancy name for the folders on the left. You can right click on any folder and choose properties ““> group policy ““> open to configure it. 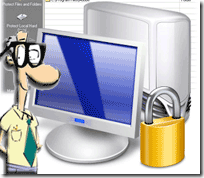 We will get further into what you can do with your domain and group policy in future posts. Let me know if you run into problems or need help with other aspects of Active Directory and group policy. Explore more about: Computer Networks, Domain Name, Ethernet, Web Server. very informative to understand how the network domain is created. I am trying to build a small 15 pc domain / DC in a class room. We have a wireless router and a server 2012 machine. What is the best approach to build a small private network with DC? We used the example askTheAdmin.com in the article. Just replace that domain name with what you want to use. I like this feature on MakeUseOf. What I DO NOT like is the ability to save as a text file for future reference. I hit this site every f---king day. That in my opinion, significantly lessens their value, especially to those of us who use this stuff day in and day out,day in and day out. I like to print or save stuff. Cant you add a PRINT button, so I can AT LEAST SAVE THIS STUFF ? Great article. It really makes sense to set this up. Can we do something similar using a Mac? Equally not simple, but at least a low $$ alternative would be how to do the equivalent on Linux. Definitely, deploy a network domain is not for the curious and much less so simple as this post wants to make it appear. It is a great learning experience if you set it up in a virtual machine or on a home network. Once you learn it you can not unlearn it! After a few installs you can do it in your sleep!